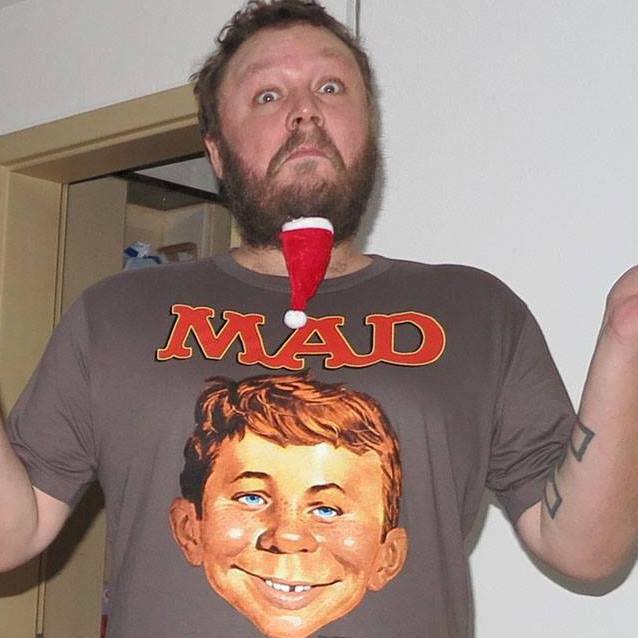 In September 2018 I’ve started to sell rare, unusual and usual MAD items in my Facebook group MAD Magazine & Alfred E. Neuman Collector’s Club. Need space in my MAD room and decided to say Goodbye to some of my MAD collectibles. 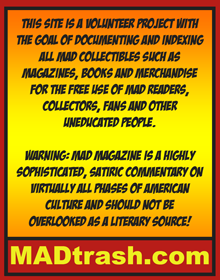 I think this group is the perfect place, because we have so many nice members, sharing the same passion and appreciating MAD memorabilia. 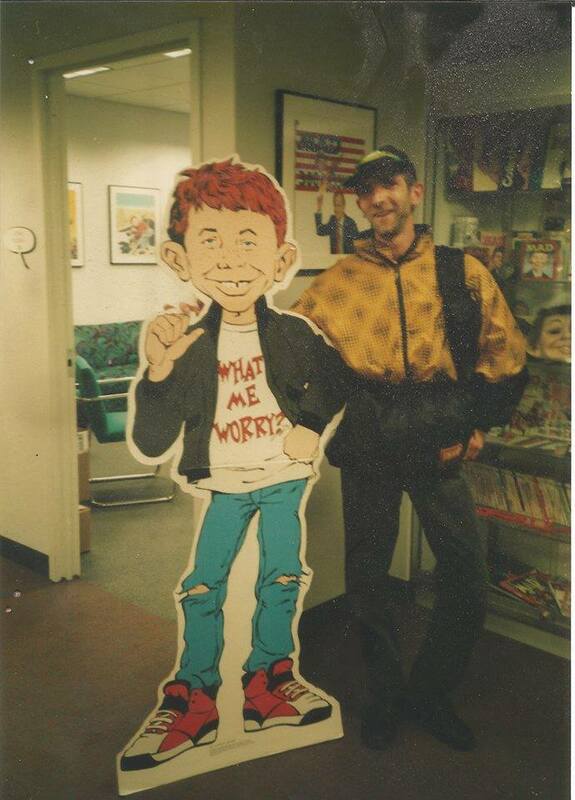 It’s always nice to know my collectibles are in good hands. 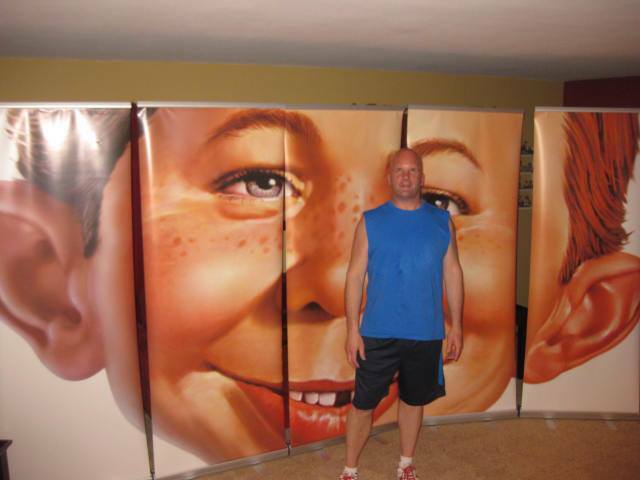 All items are offered as an auction, where you can place your bids in the comments section. I post new items whenever I find the time (and the next items for offer). On this page you can view all past auctions and the realized prices for each lot! 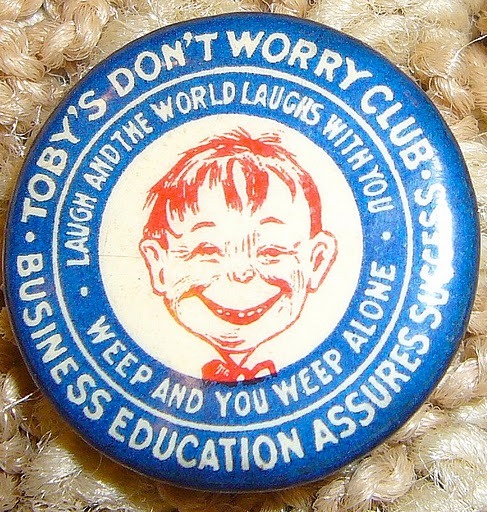 This pin belongs to one of the rarest Alfred E. Neuman pins around. 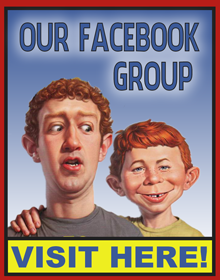 It seeems to be produced in the year 1941 and features a pre MAD version of the Alfred E. Neuman face. This pin reaches high prices on eBay. The pin is not damaged, but has some discoloration on the front and rust on the back side. 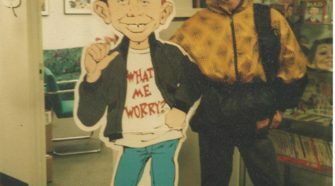 Here are some very cool unusual pieces of Alfred E. Neuman memorabilia. Produced in the 1990’s by Gunk Records, these are 4x 45 rpm records (blue, yellow, orange and pink), recorded by the musical group, Jake & The Stiffs. 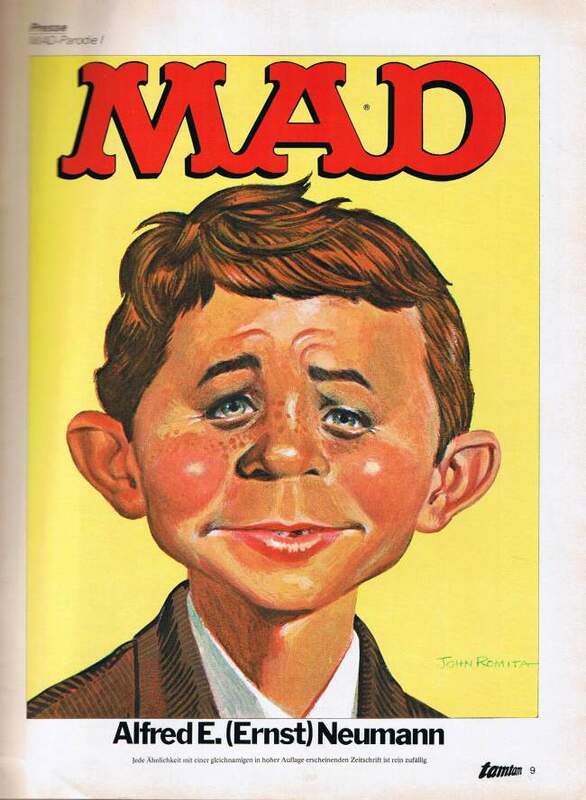 Of interest to MAD Magazine collectors is the picture sleeve for the record, as well as the label on the record. 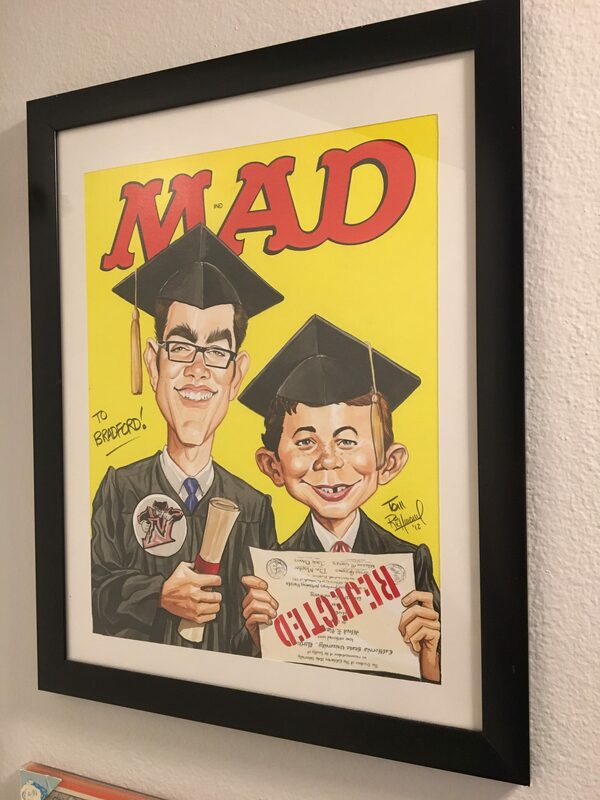 Both feature the grinning mug of MAD Magazine’s Alfred E. Neuman, although an “X” appears on Alfred’s forehead. All items are in Excellent display condition and appears to be unplayed. Just one record was featured in one of the past Tim Johnson’s auction and went for 46$! All 4 records are hard to find and the opening bid is 90$! 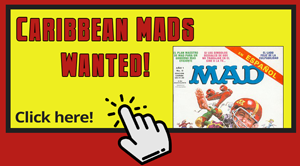 Lot #001: Spanish MAD Magazine Number 2 from the 1st Edition! 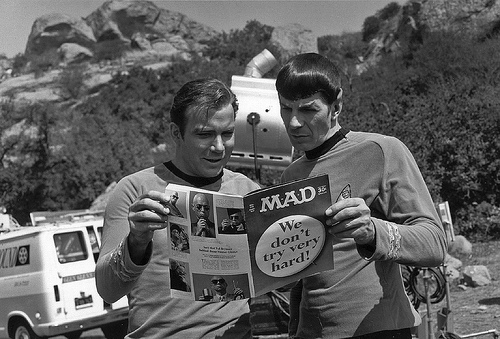 All issues from this first edition are pretty rare and were published in 1974. When Spain started this series, the publisher got into some copyright trouble and wasn’t allowed to publish issue 2-6 in Spain anymore. They decided to sell the already printed issues in Mexico and Argentina instead. For this reason number 2-6 are pretty hard to get, while number 1 is sometimes sold on Spanish classified websites. This is what a Spanish comic collector told me.